360 Total Security 2017 is a unified solution for your PC security and performance, trusted by more than 500 million users worldwide. For security, it offers you a complete protection against viruses and other online threats by integrating award winning antivirus engines from 360 Cloud Scan Engine, 360 QVMII AI Engine, Avira, and Bitdefender - to provide you the ultimate virus detection and threat protection. Moreover, It will protect you from cybercrime at any moment: when you shopping on line, downloading files, browsing a webpage or chatting with your friends. It's offers advanced features against Ransomware: Cloud technology that detects latest Ransomware variants in realtime; Intelligent behavior monitoring to identify any document hijacking, and automatically backup of your documents before they are tampered. Furthermore, It has Data Shredder feature that fully destroys deleted files. Once gone, they are gone, for long and can't be recovered. 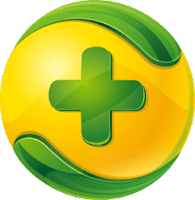 360 TS Essential (Free) - Provides complete protection against viruses, trojans and other emerging threats. 360 TS (Free) - Adds a set of powerful optimization tools on top of the "360 TS Essential" protection. 360 TS Premium (Paid) - Ad-Free edition. Developer: Qihu 360 Software Co.
Disclaimer: Direct downloads for the lastest version of 360 Total Security 9.6.0.1313 / Essential 8.8.0.1082 are provided by the official software's author, we can't guarantee safety, availability or download speed. Moreover, we don't and we won't provide any pirated/illegal versions or tools. We recommend you to avoid it as these methods can harm your device. If you like the software, buy it to support the developers. (We provide software discounts for many worldwide brands).